Water quality is a hot topic; it’s always been vital, but there’s never been a better time to educate ourselves. Birgit Kohler, water sommelier at BRITA, explains the important role that water plays in every cup. Please tell us a bit about your background and how you came to be a water sommelier. I am fascinated by water; it is the most important and emotional of foodstuffs. Some people call me a ‘water nerd’. But officially, on my business card, I am in charge of the Organoleptic Analysis Department at water filter manufacturer BRITA. My team and I focus on how our senses perceive water – plus coffee, tea and other beverages. I studied nutritional science at the Technical University of Munich, and became a certified water sommelier after completing an additional training programme at a leading academy specialising in brewing and beverage technologies. What is a water sommelier? How do you spend your average day? Like wine sommeliers, water sommeliers often work in the food service industry and provide advice on beverage choices. My work at BRITA is about an in-depth understanding of how we experience water, coffee, tea and other drinks via our senses – especially in terms of taste, mouthfeel and aroma. We then harness these insights for product development. I do not have a set daily routine, but I do have recurring tasks. 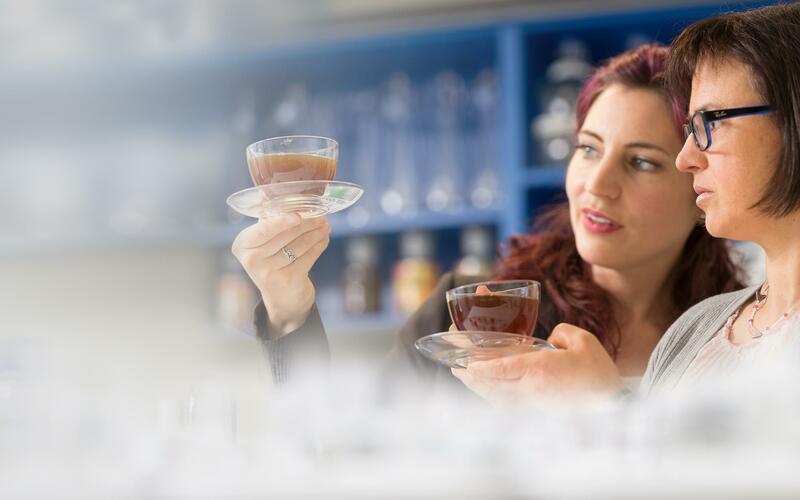 For the development of new filters, my team and I analyse how these products can enhance the taste of water – or coffee, or tea. To this end, we perform tastings in accordance with international, scientific standards in our laboratory with a minimum of twelve specially trained testers. In addition to my scientific work, I frequently give presentations on the perception and sensory aspects of water, and on water’s influence on coffee, tea and other beverages. Exactly what influence does water have on coffee? Water makes up 98% of a cup of black coffee, so water quality is clearly key to excellent coffee. The most important factor for achieving a good flavour is, in my opinion, the mineral composition, i.e. the water’s hardness. For example, if it contains too much hydrogen carbonate, the water is too hard. It interacts with the subtle acids in coffee, leading to a taste that is unbalanced, bitter and flat. Most people prefer the taste of coffee made with softer water. This creates the ideal balance between acidic and bitter, allowing a subtle coffee flavour to develop. At the same time, it is important to filter out any substances used in water treatment, such as chlorine, and organic compounds such as geosmin. Even if there is only a tiny amount of residual chlorine – that cannot be discerned by smell – it can still produce an unwanted reaction with the sensitive compounds that give coffee its aroma. What do water filters do (i.e. how is water different before and after)? Why are they important? Water filters help ensure water is ideally suited to its purpose, and that it is of consistently high quality. And there is not just one filter for all uses. You need to choose the right model in line with the local water quality, and the application. For traditional coffee specialties, I recommend the BRITA PURITY Quell ST filter. However, anyone who wants a quintessential Italian espresso, for example, should definitely consider BRITA PURITY C Finest. This filter is designed to extract precisely the right notes from the espresso beans. It allows the ideal aroma, flavour and – this is especially important – the typical espresso aftertaste to develop. All filters basically work in a similar way. The ion exchanger reduces carbonate hardness and, in turn, the water hardness. Activated charcoal removes unwanted substances that impact flavour and aroma. A special fleece filter removes fine particulate matter, so these can neither damage the machine nor end up in the final product. The skill lies in blending the various elements to achieve the desired result for the specific application and water type. How does this change our coffee-drinking experience? Filtered water improves much more than just the taste. We have all experienced that moment when we catch the rich scent of freshly brewed coffee, and our brain instantly responds by releasing happiness hormones. What’s more, a stable crema not only looks appetising – we also sense it when taking the first sip; its special texture enhances our enjoyment of drinking coffee. None of this would be possible without lowering carbonate hardness and filtering out the substances that negatively impact odour and taste. Filtered water is therefore essential to making coffee drinking a truly sensuous experience. How does this aid businesses, e.g. café owners or baristas? 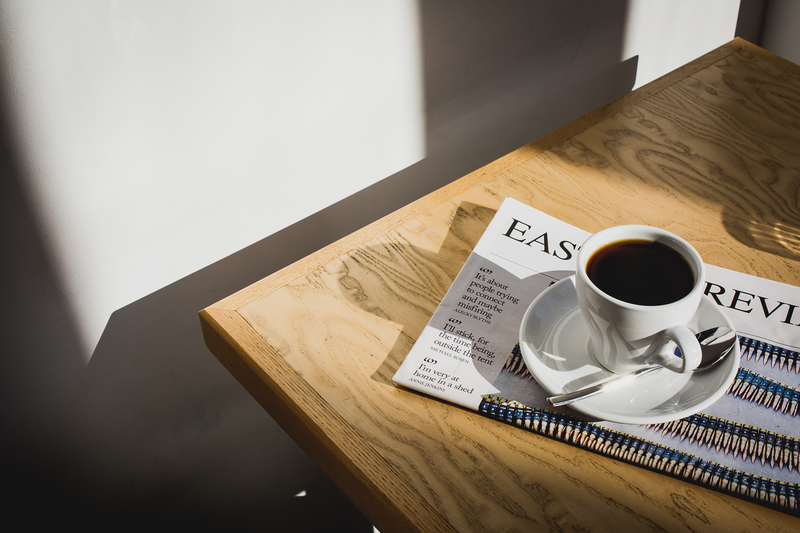 In the coffee business, providing customers with a high-quality product is crucial. And BRITA-filtered water has the additional benefit of extending the service life of coffee-making equipment. All machine parts that come into contact with water are reliably protected against limescale and unwanted residues. This reduces maintenance and repairs, and means greater cost-efficiency. Visit the BRITA stand at The European Coffee Symposium 2018 to meet the experts and find out more.